The NRA demanded that the US government pass legislation outlawing the study of gun injuries and fatalities as a health care category. They have even outlawed doctors' right to ask patients about gun-related issues. 80,000 Americans attend the NRA’s annual meeting each year. Researchers mined private health insurance data from 2007 to 2015, analyzing national firearm injury rates during the NRA’s conventions. Injury rates were 20% lower on meeting days. The implication is that guns carry inherent risk even among individuals who might be skilled in the use of firearms. NRA meeting attendees are responsible for a large proportion of U.S. gun injuries, many of which may be accidental. The National Rifle Association asserts firearms are safe in the hands of people who know how to use them. It promotes firearm-training courses that it says are taken by one million Americans each year. And opponents of new gun regulation contend injuries occur only among inexperienced users. But where is the evidence? Funding on the public-health impact of guns is scarce, in part because of a long-standing congressional provision that prohibits the U.S. Centers for Disease Control and Prevention from funding research that could be construed as pro-gun control. But Anupam Jena, a health care policy researcher at Harvard Medical School, and Andrew Olenski, a Columbia University graduate student in economics, devised a clever strategy involving the NRA itself to test the oft-cited argument about gun safety. Their study published in The New England Journal of Medicine suggests even the most dedicated and presumably well-trained gun enthusiasts—the NRA’s annual convention attendees—are hardly immune to firearm injuries. The two began their work with the knowledge that more than 80,000 Americans attend the NRA’s annual meeting each year. Understanding as well the organization’s stated dedication to safe and responsible gun use, they posed the question: What happens when tens of thousands of experienced gun users are at a gathering where they may be less likely to use their firearms? Jena has long been interested in how large events influence health outcomes and behavior. Bringing this novel analytical method to gun use, the researchers mined private health insurance data from 2007 to 2015, analyzing national firearm injury rates during the NRA’s conventions—when members listen to lectures and peruse exhibit halls rather than hunt or practice shooting—and compared them with firearm injury rates on similar days before and after each convention. If guns were perfectly safe in the hands of trained NRA members, Jena and Olenski reasoned, they should have found no differences between gun injury rates on convention days versus other days. Yet injury rates were, on average, 20 percent lower on meeting days. “We believe this is due to brief reductions in gun use during the dates of these meetings,” Jena says. “The main implication is that guns carry inherent risk even among individuals who we might consider to be skilled and experienced in the use of firearms.” Importantly, they did not find any corresponding drop in firearm crime rates on convention days, which suggests NRA meeting attendees are not responsible for a large proportion of U.S. gun crimes—just gun injuries, many of which may be accidental. 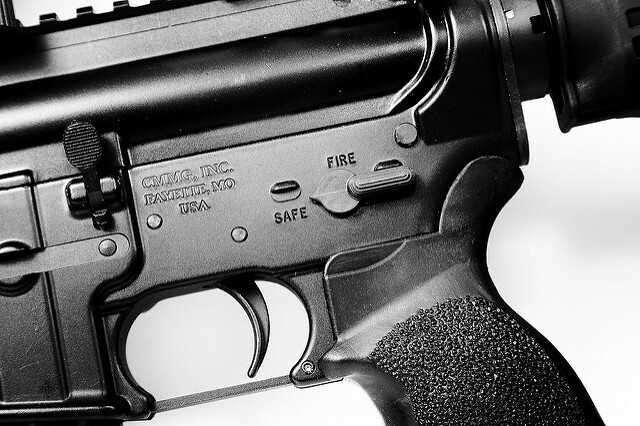 In 2015 the U.S. logged nearly 85,000 firearm injuries, of which 17,000 were unintentional. Jena points out the 20 percent injury drop on convention days corresponds to a seemingly small absolute reduction in the nationwide gun injury rate—one fewer gun injury for every 300,000 Americans. But this difference is not trivial, he says, considering only about 80,000 Americans out of a gun-owning population of tens of millions attend each meeting. In other words, a group only slightly larger than the population of Camden, N.J., appears to nudge gun injury statistics down for a few days every spring. NRA meetings, the researchers contend, may influence gun use even among people who don’t attend. Hunting and shooting ranges around the country may close on convention days so that employees can go, and group outings may be postponed during the confab even if only one group member plans to attend. The design of this study only identifies associations, not precise cause-and-effect relationships, and so is unable to ascertain that the observed injury drop on convention days came about because NRA members are not using their weapons. But several study details support this explanation. First, injury rates on convention days dropped among men not women, consistent with the 85 percent of NRA meeting attendees who were male in 2017. The authors also found injury decreases were highest within the state hosting the convention, given that gun owners are more likely to attend meetings held close to home. The new study does not imply firearm safety training is a useless endeavor. In a September 2017 study researchers at Harvard School of Public Health and other institutions audited firearms training classes and found instructors taught students to point the muzzle in a safe direction and to keep their fingers off the trigger until they were ready to shoot—both important and potentially life-saving habits. But no studies have shown firearm training substantially reduces the chance of gun injuries, and the study from the two researchers suggests it certainly does not eliminate risk. The findings highlight the need for more and better research on firearm risks and lend support to the growing body of research that suggests no matter who is holding them, guns worsen violence rather than ameliorate it.